Buy RIP_MLB a Coffee. ko-fi.com/ripbaseball - Ko-fi ❤️ Where creators get paid by fans, with a 'Buy Me a Coffee' button. 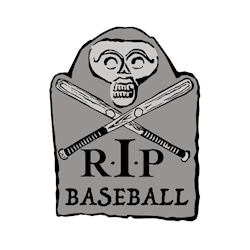 Writing about baseball history, one grave at a time. Welcome to my Ko-fi Page. I am involved with researching baseball history and writing about players whose graves I visit. If you want to help defray some of the costs of online archives & web hosting, I'd appreciate it! Secured Payments. Support goes to RIP_MLB's account. All donations will help pay for my WordPress web hosting costs. Every donation is much appreciated! Upgrade RIP_MLB to a yearly Gold Membership with a one-time payment.